Centerforce manufactures the best in SFI approved performance flywheels by using high-strength billets, not castings. 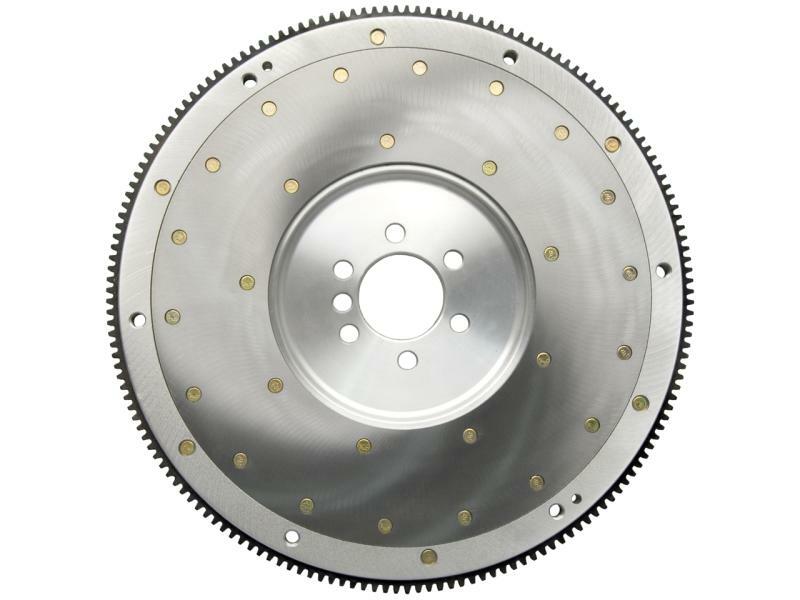 Centerforce flywheel part numbers with a 700 prefix are made from billet steel and match closely to the original equipment flywheel weight. Centerforce 800 and 900 flywheel part number prefixes designate specially made flywheels from aircraft grade billet aluminum for light weight. Centerforce aluminum flywheels also feature mechanically retained starter ring gears as well as replaceable steel friction surfaces that have been heat-treated for abrasion resistance and long life. The 400 series flywheels are O.E. cast iron replacement flywheels and are not SFI approved for competition use, these are a quality replacement wheel only. Centerforce billet flywheels are CAD/CAM designed and then CNC machined to strict tolerances for perfect fitment and hassle-free, bolt-in performance. Consult your Centerforce catalog or web site for the latest in performance flywheel applications. Centerforce offers multi-level product lines allowing customers to choose a performance clutch that matches their application and driving style. Centerforce clutch assemblies are designed as an improved OE-style, direct bolt-in replacement performance clutch. The unique Centerforce design allows for easy pedal effort and everyday drivability, while offering increased holding-capacity for maximum performance. Centerforce engineers evaluate each assembly and apply our patented processes to increase the clutches holding-capacity and performance.